Provides information on suicide statistics and gives advice on how to recognize the warning signs of a potential suicide attempt, how to intervene when a suicide has been attempted, and how to comfort families and friends who have lost a loved one to suicide. This updated and expanded edition contains a discussion of euthanasia and living wills and a list of crisis centers around the United States. 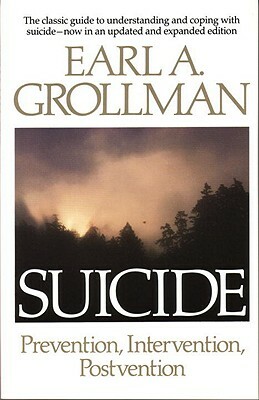 Earl A. Grollman, a pioneer in the field of crisis intervention, was rabbi of the Beth El Temple Center in Belmont, Massachusetts, for 36 years. A certified death educator and counselor, he was cited as "Hero of The Heartland" for his work with the families and volunteers of the Oklahoma City bombing. Dr. Grollman has spoken at many colleges, clergy institutes, seminaries, physicians' forums, and hospital nursing associations, and has frequently addressed support groups such as The Compassionate Friends and Mothers Against Drunk Driving. He has also appeared on numerous national television and radio programs, including the Oprah Winfrey Show, Children's Journal, All Things Considered, and Mister Rogers' Neighborhood. He was featured on National Public Radio's The End of Life: Exploring Death in America series in the roundtable discussion on grief and bereavement. He is the author of several books including Living When a Loved One Has Died, Straight Talk about Death for Teenagers, and Living When a Young Friend Commits Suicide.